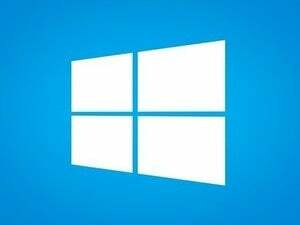 Clean up clutter, correct grammar, improve tone, and just generally make a better impression with these apps and extensions. It’s expected that we take care with most business writing, but we tend to fire off emails from the hip. Look no further than your own inbox for proof. It’s likely rife with rambling dispatches, egregious spelling errors, typos, and inappropriate emoticons. Subjecting a friend to these bad habits is one thing; making a bad impression on your boss or a client is another. 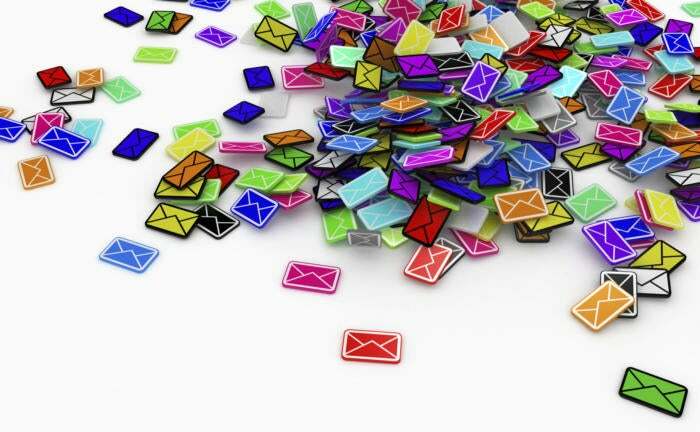 Fortunately, there are a number of tools that can help you clean up your act and write emails more effectively. Be sure to try these out before you hit send. Business correspondence should be clear and concise. Cramming an email with painstaking details and 10-dollar words doesn’t make you look smarter. It just gives the recipient more opportunity to zone out and miss the point of your message. MailMentor offers suggestions for making your emails clear and concise. 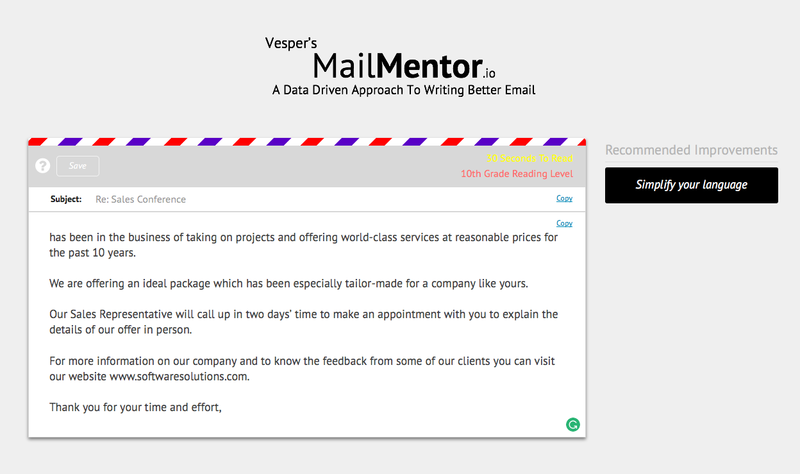 Mail Mentor can save you from your worst impulses. Compose your message normally, then paste it into this free tool. It will give you immediate feedback, telling you the reading level (6th to 7th grade is considered the sweet spot for professional emails), how long it will take to read, and steps you can take—shortening your paragraphs or simplifying your language, for example—to make it more effective. Grammatical mistakes aren’t just eyesores, they can reflect poorly on your professionalism. Attuning your own eyes to the difference between “its” and “it’s” is your best defense, but it helps to use an app like Grammarly as a backup. Grammarly identifies grammatical mistakes in your emails and helps you correct them. 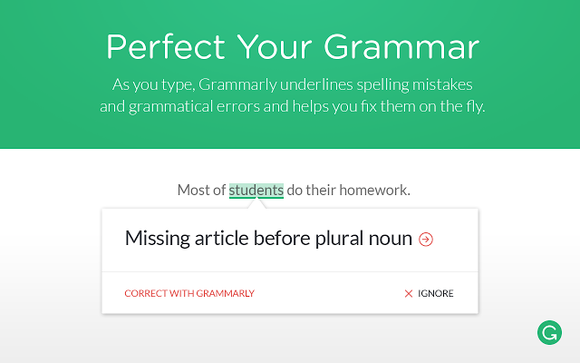 This freemium tool checks for contextual spelling, punctuation, grammar, sentence structure, and style, and suggests corrections for any errors it finds. Upgrade your account and Grammarly will add “vocabulary enhancement” to spice up your writing, and a professional proofreader to double-check your documents. The Grammarly browser extension allows you to clean up your writing across the web, including on sites like Facebook and LinkedIn. Ernest Hemingway’s direct, unadorned writing style grew out of his years as a newspaper reporter. But you don’t have to join the ranks of ink-stained wretches to bring a similar clarity to your email messages. Hemingway Editor ensures your writing is as “bold and clear” as the old master’s. 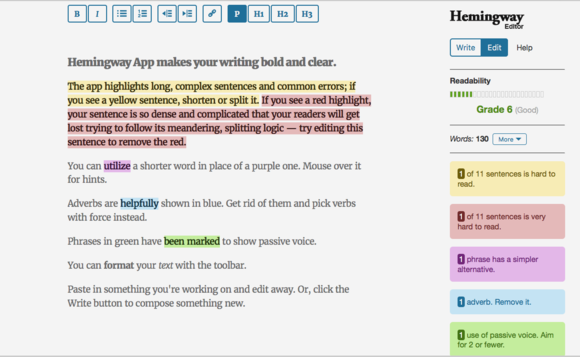 The Hemingway Editor is a free online tool that ensures your writing is “bold and clear.” When you paste your email in the reader, it highlights convoluted sentences, passive voice, unnecessary adverbs, and other pitfalls in your prose. You can also type a message right in the app to get real-time editing suggestions and compose an email Papa would be proud of. Crystal builds “personality profiles” of your correspondents so you can tailor emails to their communication styles. This app creates “personality profiles” for your email correspondents based on online data such as their blog posts, tweets, and social accounts. Using these clues, it offers phrasing, style, and tonal suggestions so you can craft messages that will resonate with them. Tips like “Write with short casual language” and “Use data to prove a point” help you tailor your message to the individual, ultimately helping you build more productive working relationships.